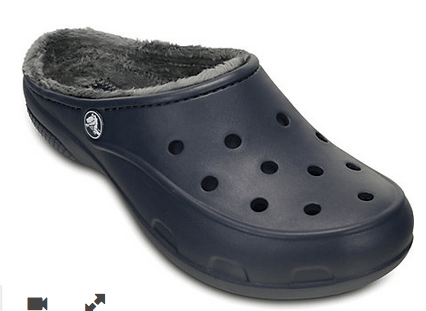 Crocs is offering an additional 50% off select clearance styles. Shipping is $4.99 or free on orders of $35 or more. Shoe prices start at $8.99. Crocs is offering 50% off select sandals and clogs. 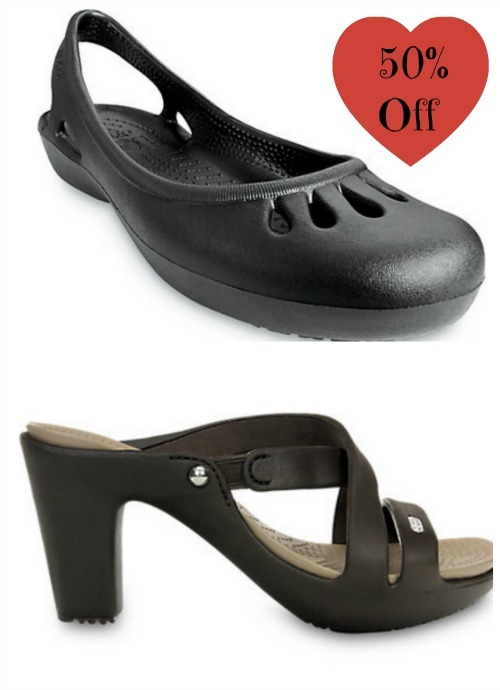 Included in the sale are the Women’s Crocs Kelli Sandals. Sale price is $19.99, the price drops to $9.99 in your cart. Shipping is free on order of $24.99 or more. Go here to see all the shoes included in the sale. Today only, take 30% off your Crocs order with code 30OFF. Some exclusions apply. Shipping is free on orders over $24.99. 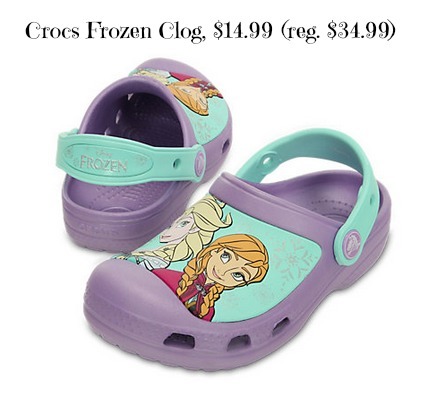 For a limited time, Crocs is offering the Crocs Frozen Clog for $14.99 when you use code FROZEN. Get free shipping when you spend $24.99 or more. 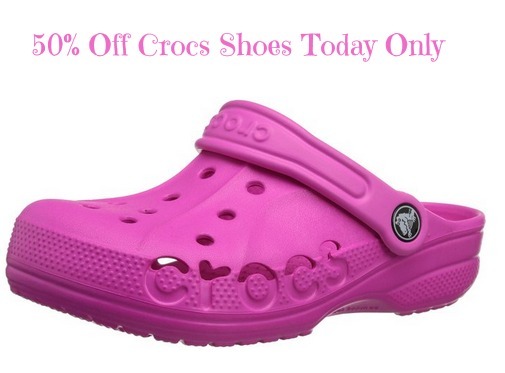 Today only, Amazon is offering 50% off select Crocs Shoes for the family. Prices start at $13.99. Shipping is free on orders of $49 or more, or get free shipping with Amazon Prime (get your free trial). Amazon prices can change at any time. Crocs is offering 50% off Malindi (reg. $29.99) and Cyprus Styles (reg. $44.99 – $49.99) with code DEAL50. Sale ends January 26th at 11:59 MST. Cannot be combined with any other offer or promotion. Shipping is free on orders of $24.99 or more. 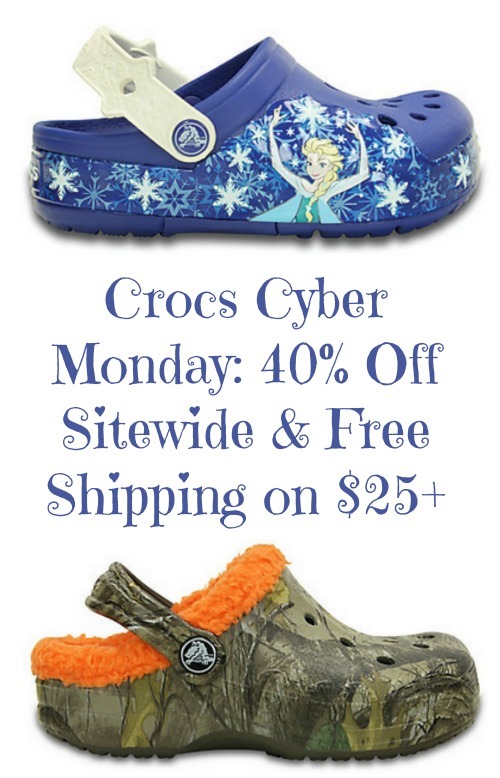 Today only, Crocs is offering 40% off site wide for Cyber Monday. Discount will be reflected in cart. Get free shipping when you spend $24.99 or more. Don’t forget to check the Doorbusters too. Don’t miss a deal! My Facebook Page can’t keep up with all of the awesome deals, so be sure to join my Christmas Deals Facebook Group where where I am posting up to the minute deals and other deals that you won’t find on my main FB page and you will receive notifications whenever I post.